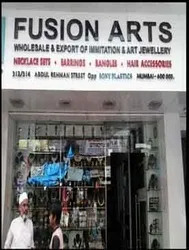 Incorporated in the year 2007, Fusion Arts is located in Maharashtra, India and involved in manufacturing, supplying, exporting, wholesaling and importing attractively designed Imitation Jewelry items. 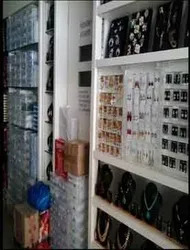 The range we offer in market comprises Bridal Set, Link Set, Fancy Set, Traditional Antique Set, Traditional Antique Pendant Set, Cubic Zircon (AD) Sets, Stone Hair Clips, Traditional Antique Finger Rings, Baby Hairpins, Cubic Zircon (AD) Bangles, Fancy Bracelets, Stone Bracelet, Fancy Bangles, Stone Finger Rings and Cubic Zircon (AD) Finger Ring Stone Bangles, Traditional Antique Bangles, Cubic Zircon (AD) Bracelets, Cubic Zircon American Diamond, Pendant Sets, Stone Pendant Sets, Traditional Temple Jewelry, Traditional Earrings, Cubic Zircon American Diamond Earrings and many others. We have made the use of quality approved and well analyzed raw materials in fabricating these items, which are procured from some of the genuine and authentic vendors of the industry. These intricately carved items are known for their appealing colors, durable finish, alluring patterns, perfect carving, and eminent look. Apart from this, our clients can avail our comprehensive range in different and creative patterns as per their specific needs. We have established a sound and well equipped infrastructure in our firm that help us in carrying out all the processes in streamlined manner without any trouble. All the required and important machines are installed in our production unit for the faster and high production. 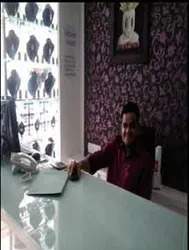 Our staff members are the biggest asset of our firm, who help us in completing all the organizational targets and objectives within the prescribed time frame. 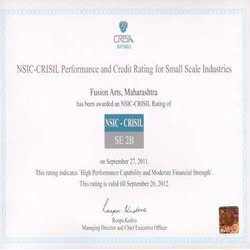 Their dedicated participation in every field enables us to cater the diverse demands of the clients. Our mentor and S And M Vice President Mr. Gaurav Gada guides us in every step and due to his able-support, we have reached the pinnacle of success. He possess strategic approach, managerial skills, commendable knowledge of hi domain, in-depth industry experience and leadership attitude. For the smooth and streamlined production, we have set up a sound infrastructure in our firm. We have installed all the sophisticated machines and tools in our production unit, which save our time by faster production. Our systematically segmented infrastructure comprises designing, warehousing, packaging quality testing, and administrative units. 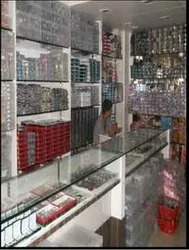 Our packaging unit helps us in moisture free packaging of the jewelry items. Our firm is supported by a team of skilled and determined professionals, who have been recruited on the basis of their knowledge and experience. Our designers possess vast knowledge of their domains. They help us in confirming the products are made in accordance with the latest market trends. Our personnel maintain the cordial relations with the clients to meet their exact choice and demand perfectly. With the help of our infrastructure facilities and strong workforce, we are able to achieve an enviable position in industry. Our client-centric approach, ethical business operations, easier payment modes, transparent dealings, timely delivery, and sound financial status enable us to garner a huge client-network across South East Asia, Indian Subcontinents, and Middle East.